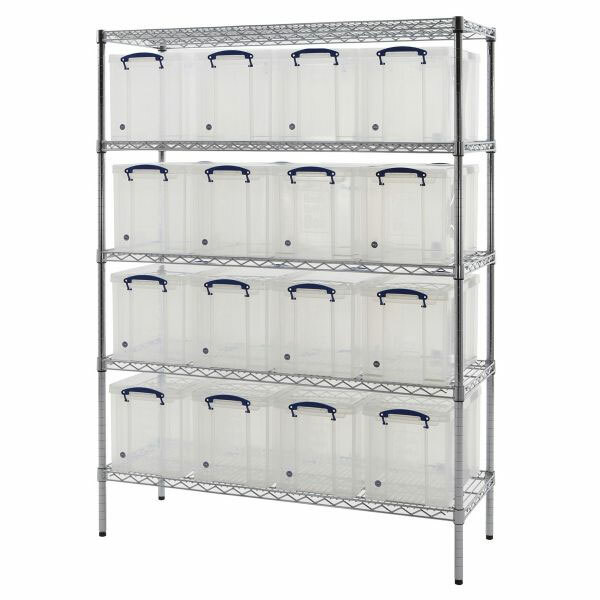 Heavy Duty Chrome plated Wire shelving. 150kg per shelf! Not to be confused with other 50kg cheap shelving. No nuts or bolts for easy quick assembly. 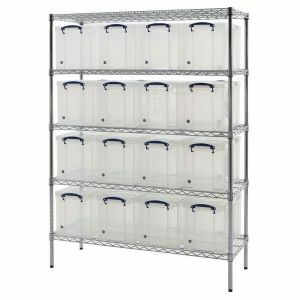 This chrome shelving and really useful package is ideal for storing office files and archives, as well as smart storage for around the house or garage. The shelving unit comes complete with 5 shelves. (1525H x 1220L x 455W). This package comes complete with 16 x 24 litre Really Useful Boxes. Discounts available for quantities for over 5.